Here are some employee engagement best practices: the 2nd story of how Scott brought employee engagement levels to their Weekly Balanced Scorecard at Zerorez. Scott Oremland had finally found a way to get him a daily pulse on employee engagement levels, in order to complement the company’s weekly balanced scorecard. 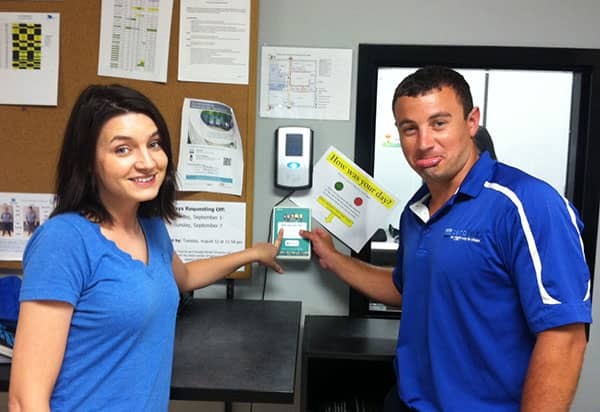 It took him a few minutes to install their free device himself next to the time clock and voila: The Minnesota based company was set to start their new journey. 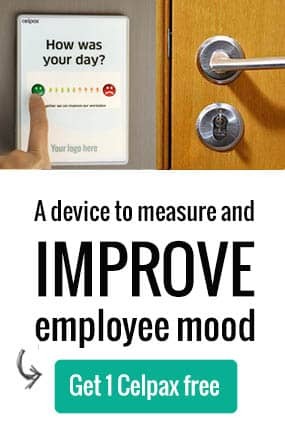 They wanted to improve their workplace by having employees pressing red or green at the exit door as they finished their shifts, answering How Was Your Day? “I didn’t know what the number would be. People had their ideas and so did I of course. I didn’t think we were going to get a top-notch score, but when I saw that we had almost the same number of people pressing green as red … that hit me hard” Scott pauses. “I knew we had stuff we needed to fix, but I had sooo many conversations with people that love working here. The result was disappointing but at the same time, it was good to have that reality check. It was good for people to see that maybe we need to be even better and hey, there’s work to do. The results also rose as the days went by”. “We always start with good news at our leadership meetings,” says Scott, as part of employee engagement best practices. “At the last one, it was so great when I could say hey, 89% of our employees pressed green yesterday! In the management team, we’re all excited about this. But the first week was a bit rough…” he says and shrugs his shoulders. “Even with the simplicity of the Celpax device you still get a lot of info, that’s very attractive. 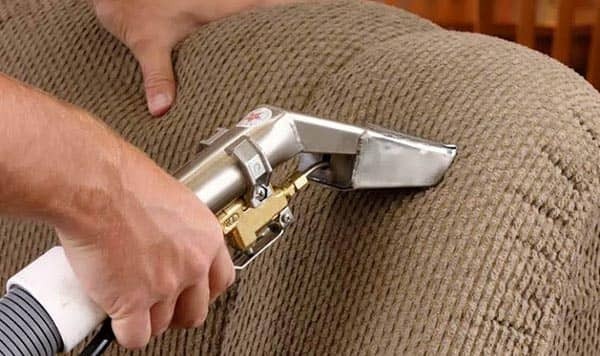 There’s no survey, no link to follow, employees just press green or red”, says the COO of the carpet cleaning company. “We recently rolled out our new vision, values, and new employee benefits. We want to be clear about the things we are doing thanks to what we have seen on our Celpax. I think there might be some skepticism here too as I heard ‘I don’t think my feedback is going to go anywhere based on what happened in the past.’ People should never have the feeling that we’re not going to do anything with the results; we need them to keep pressing as part of the employee engagement best practices. “Just having the button here has been a switch, people come to talk to me. One guy came up and told me that his day in the field was green until he came back to the office and found trash buried in his truck, left by the driver from the day before – that changed his day from green to red”, Scott says and points to the area where the Zerorez MN vehicles used by the cleaning technicians are parked. Why is there no yellow button? “One employee mentioned that it would be helpful to do a survey to identify all things that cause us to feel red… I looked at him and said “we don’t need to find a way, you’re telling me right now! We’re having a conversation we wouldn’t have had otherwise! It’s already working!” the COO says, clearly enthusiastic. “Our message is that we’re making some changes, and we want to make more! We want to talk to people and find out what´s going on. I’ve identified a good list of issues from our employees in this short time, now I want to get some feedback from more of our managers from the different departments. I want to make sure that all our managers feel comfortable about the Celpax device”. “We had the highest revenue ever in June” says Scott with a thoughtful tone. “But we have a very red mood! Although yesterday we held an All-Staff meeting and got a nice green score”, he says with a happy face. “We have some operational problems we’re not happy about and a lot of the red is from how we operate. We’re looking into schedules, the state of our vehicles when you start your shift, workloads, employee benefits, etc. 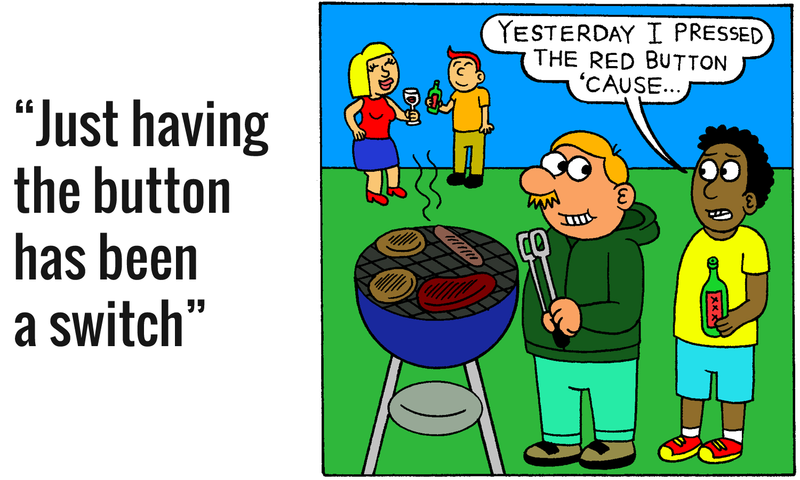 “I had a conversation at our company barbeque the other day, this guy had had a string of horrible days and he identified a lot of things that made him have a red day. Last night he came back from his route and said “Scott, I had a green day today”! That’s awesome! I said and asked “what made it green? And he told me the things. So two days later he comes back to me again to tell me!” says Scott. “I don’t expect him to have green days ever after but having that conversation… just having the box on the wall opens the conversations, it´s easier for employees to open the door and say I had a red day… or green. It’s a more casual way of being able to open conversations – it becomes part of the language. When you talk about red or green you know what’s going on” concludes Scott. “We get that daily pulse now and see our employee mood day by day, and the aggregated, of how we’re moving. 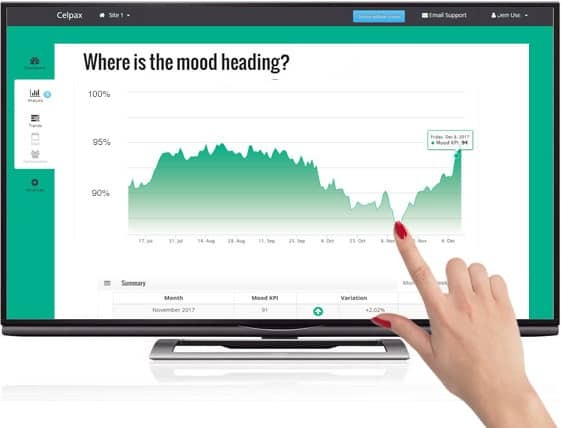 After 45 days of measuring Zerorez will unlock their Employee Mood KPI, which complements their weekly balanced scorecard. Read how Zerorez are doing one year later, 3 years later or get your own Celpax at no cost. The 1st is free. Hej! I’m Rebecca, co-owner at Celpax. We use simple tech tools to measure and create a great work environment. And build a better society while at it! Interested in Employee engagement best practices? Let’s chat on Twitter. Imagine you resigned today, would employees press green or red?